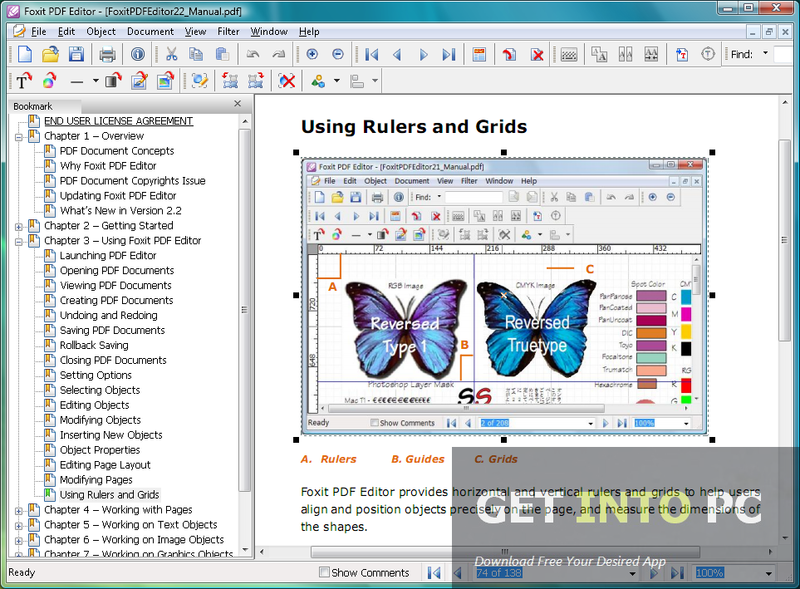 Foxit Advanced PDF Editor Free Download Latest version for Windows. Its full offline installer standalone setup of Foxit Advanced PDF Editor for 32/64 bit. 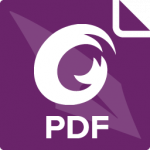 Foxit Advanced PDF Editor is an application that can be used for editing OPDF files without installing extra components. This editor will allow you to add your own notes into a PDF documents or copy the content from PDF document for further use. Editing a PDF document with Foxit Advanced PDF Editor is as easy as ABC. You can load the document that you need to edit into the editor with the help of a file explorer or by just simple drag and drop feature. One thing to remember here is that Foxit Advanced PDF Editor does not allow tou to edit the entire document at once in fact you need to select different portions of the documents that you need to edit. Once editing of a specified portion is completed than you can go for the next portion or piece of text document. 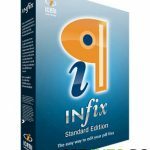 You can also Download InFix PDF Editor which is great alternative for editing PDF Documents. Different Text properties of the selected documents can be viewed the moment you select the portion. The properties you can look for are font style and size, character as well as word spacing color, rotation and shear etc. These properties can be altered at will. All you need to do is to double click the selected text and then you will be able to edit the properties. You can also add new text into the document as well as images if necessary. 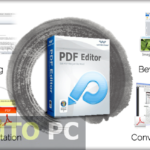 Nitro Pro is also one of popular PDF Editing software. Speaking of inserting images into the documents one notable feature here that we should mention is the image editing. Yes the images that you want to insert into the document can be edited according to the needs. 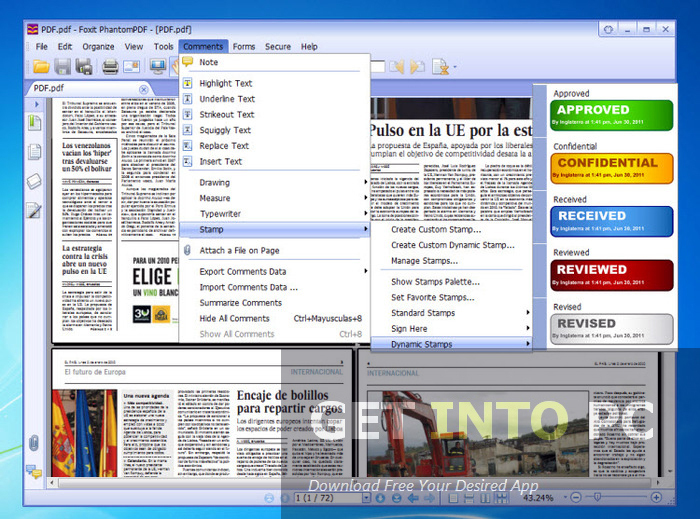 Some basic editing operations can be done on the inserted images. These basic operations include setting the color and hue and also adjusting the brightness and contrast of the image. Apart from these basic operations you can also perform some advanced editing operations like magic wand, clone stamping dodging and burning etc. After the editing is done you can share it with your friends and colleagues. Conclusively we can say that Foxit Advanced PDF Editor is a very handy tool that will let you edit your PDF documents very easily. Below are some noticeable features which you’ll experience after Foxit Advanced PDF Editor free download. 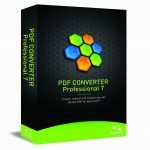 Can edit your PDF files easily. Can edit the text properties of the text like font size and colr etc. Can insert new text into the document. Can insert images into the documents. Can edit the inserted images. Can dodge and burn the images. Can set the brightness and contrast. Can share documents with friends. Before you start Foxit Advanced PDF Editor free download, make sure your PC meets minimum system requirements. Processor: 1.3GHz processor or faster. 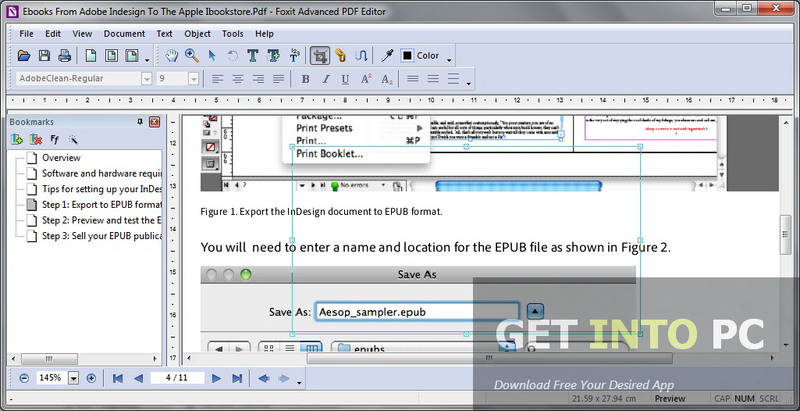 Click on below button to start Foxit Advanced PDF Editor Free Download. This is complete offline installer and standalone setup for Foxit Advanced PDF Editor. This would be compatible with both 32 bit and 64 bit windows.